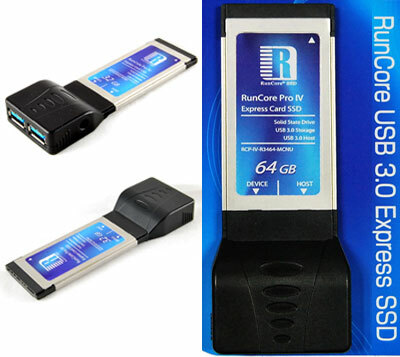 If you’re still rocking a laptop with an ExpressCard slot, RunCore’s USB 3.0 Express SSD offers both 64GB of SSD goodness and a pair of USB 3.0 ports bringing your machine up to speed with the latest connectivity/storage. It won’t be able solve those worn-out cosmetic issues or that loose hinge, sadly. Still no word on price or when this will ship.